Bark City is a brand new solution for dog-owners living in and around Manchester, NH. Our downtown location offers a daycare facility with state-of-the-art playroom, a dedicated grooming area and the city’s first boutique retail store for dogs and their owners. Through socialization, rigorous exercise and just a little bit of pampering, our furry guests become more enriched with every visit. It’s time to your dog to experience a new way to spend their day—at Bark City, of course! Doggy daycare facilities may exist around NH, but Bark City is the only full-service solution in the area. 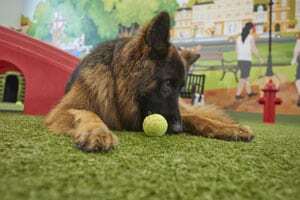 Between our park-like playroom, highly experienced grooming staff, unique retail store and robust canine community, we offer something that simply cannot be found anywhere else in Manchester. Book online, watch your dog via our webcam and know they’re in good hands—it’s the Bark City difference. Drop your dog off in the morning and head into town for work. You’ll return to a tired pup who’s ready for the car ride home! 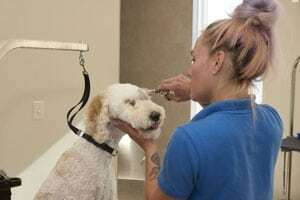 Our grooming services are second-to-none in the Manchester area, featuring full wash/cuts, bathing and special treatments tailor-fit for your dog. 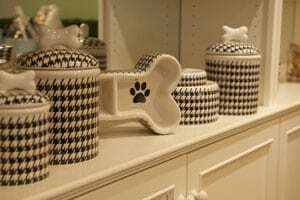 From our wide array of top-notch toy brands to all-natural snacks and treats, our boutique retail store has everything your dog needs to thrive in life. Bark City—because your dog deserves a more playful day! Contact us today to schedule an initial intake appointment.